Caolan McAleer let fly from distance but Waterford FC captain Damien Delaney made an important block as Harps has the opening chances. On 25 minutes, Niall Logue’s powerful strike forced Blues keeper Matthew Connor into a good save. Finn Harps were reduced to 10 men after 27 minutes. Mark Coyle, booked in the 9th minute for a foul on Zack Elbouzedi, picked up his second yellow card for a foul on Shane Duggan. Ciaran Gallagher save from Kevin Lynch’s long-range strike and was forced into n good save just minutes later when Elbouzedi’s corner found the head of Rory Feely but Gallagher produced a good save. Keeper Gallagher was helpless to stop the Blues from from taking the lead five minutes before the break. Scott Twine found Feely on the right and he crossed for in-form Aaron Drinan to direct his header into the bottom corner to make it 1-0. Twine went close himself one minute later after being played in by JJ Lunney but he couldn’t find a way through the Finn Harps defensive line. 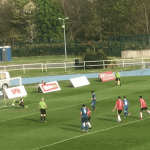 Finn Harps and Daniel O’Reilly went close to levelling eight minutes into the second half, despite the man disadvantage, but his free kick was narrowly over Matthew Connor’s crossbar. Alan Reynolds’ side doubled the lead on 66 minutes. 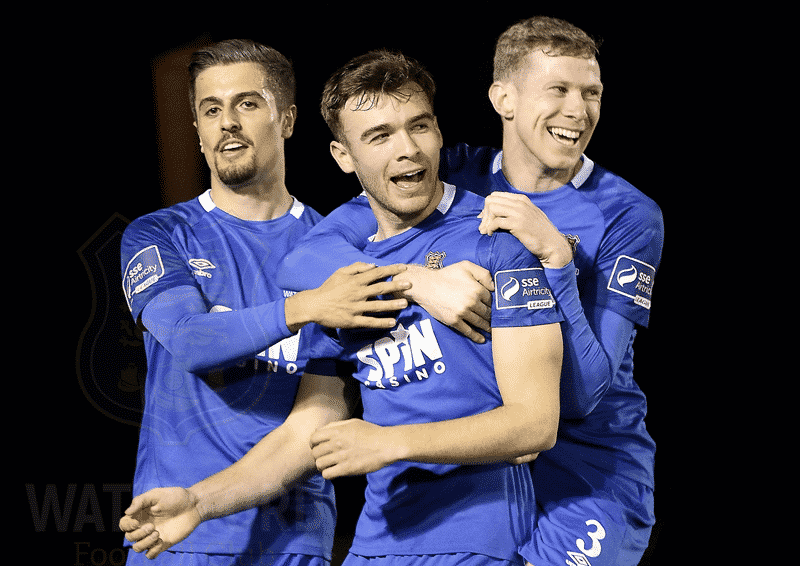 Shane Duggan’s 20-yard strike wasn’t held by Gallagher and Drinan was on hand to fire home his second of the night; and fourth goal in two games. The points were all-but sealed on 73 minutes when Twine did well down the right to pull the ball back for Shane Duggan and he fired right-footed past Gallagher. Dean Walsh put the gloss on the win in the final minutes; substitute Izzy Akinade raced to the ball ahead of Gallagher inside the right side of the penalty area and his pinpoint cross found the head of Dean Walsh to head expertly over the retreating keeper to make it 4-0. 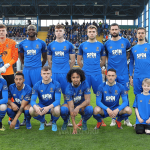 Waterford FC: Matthew Connor, Rory Feely, Damien Delaney, Maxi Kouogun, Kevin Lynch (Dean Walsh 83); Karolis Chvedukas (Bastien Hery 69), Shane Duggan, JJ Lunney; Zack Elbouzedi (Izzy Akinade 76), Aaron Drinan, Scott Twine.